To say the least, we got a little obsessed. So now here we are, jumping on the holiday wagon with our first Valentine’s day post! 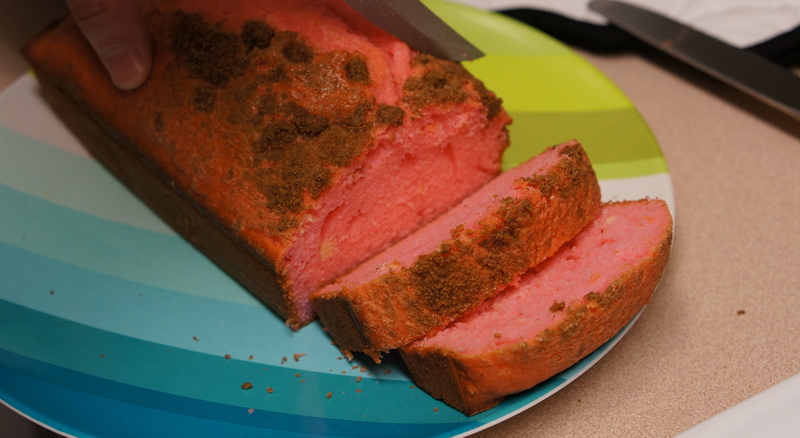 Rather than using one of the fun Pinterest Valentine’s Day recipes, we decided to adapt a Halloween recipe that we hadn’t gotten around to in October. In the original Pinterest post someone baked the outline of a pumpkin into a loaf of bread, which looked like shenanigans to us! 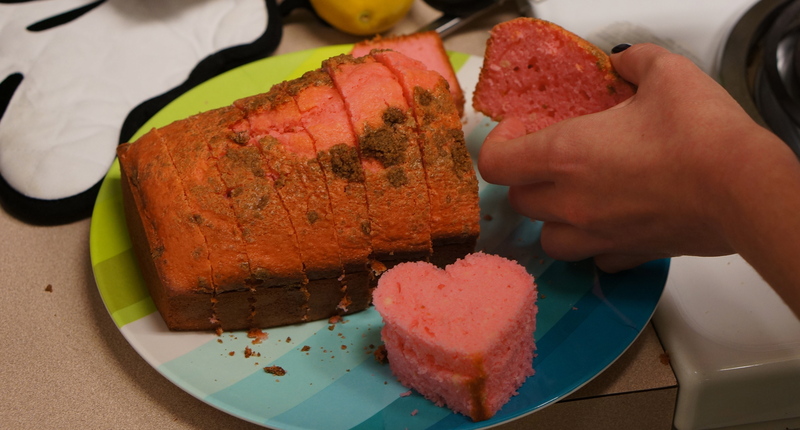 To make it appropriately festive, we decided to try it out with a pink heart. 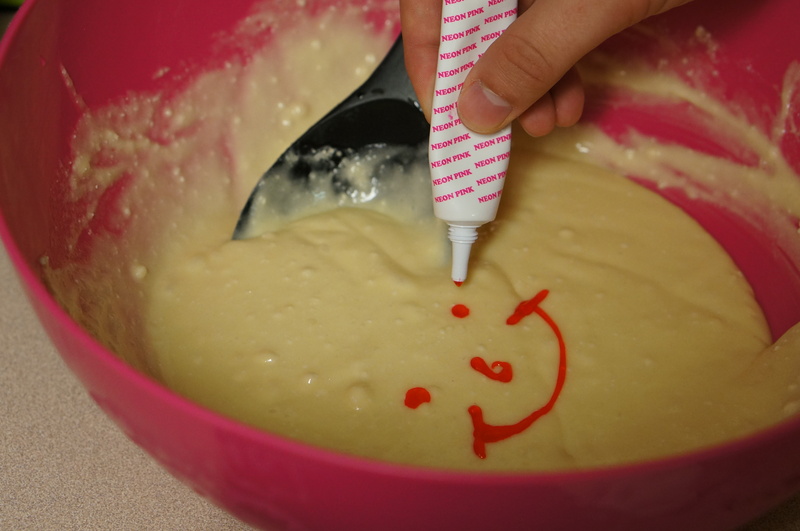 Next, pour the batter into a well greased pan. 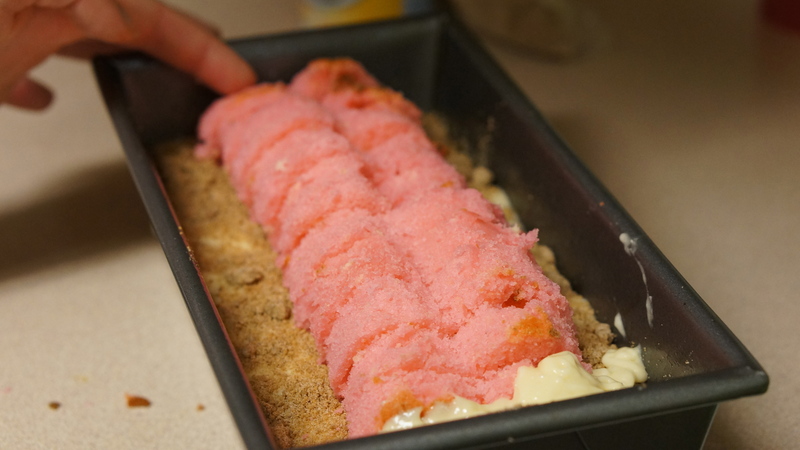 If you are using the cinnamon swirl recipe, do not use the package of cinnamon sugar. Bake the bread for the amount of time listed on the box. 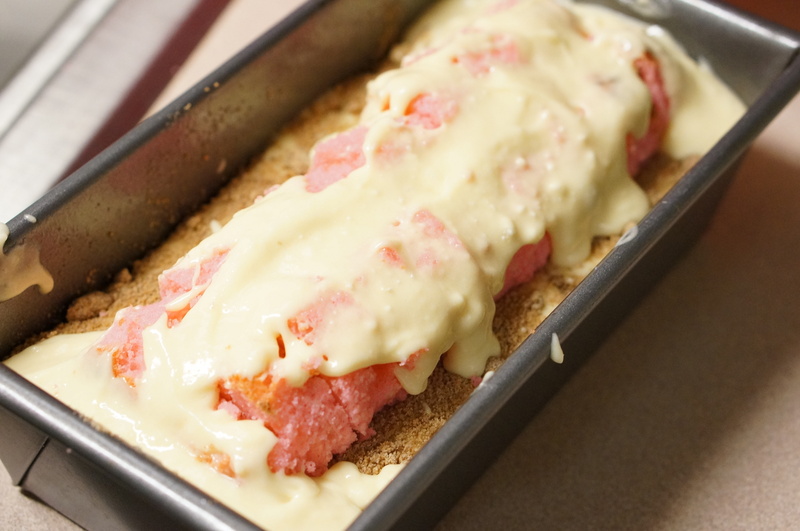 Let the loaf cool completely and remove it from the pan.Cut it into slices that are about 1 to 2 inches thick. Next we were supposed to use the cookie cutter to cut a heart out of each slice of bread. 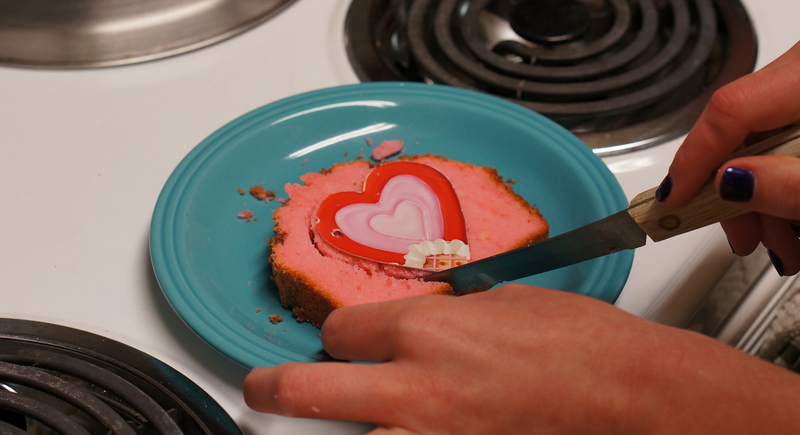 This didn’t work out too well, so we cut a heart out of paper and used it as a stencil by laying it on the loaf and cutting around it. Continue cutting shapes into each of the bread slices and set them aside. Combine the ingredients for the second box of bread mix. Pour half of the mix in a well greased pan and top with part of the cinnamon sugar packet (if you are making the cinnamon swirl bread). 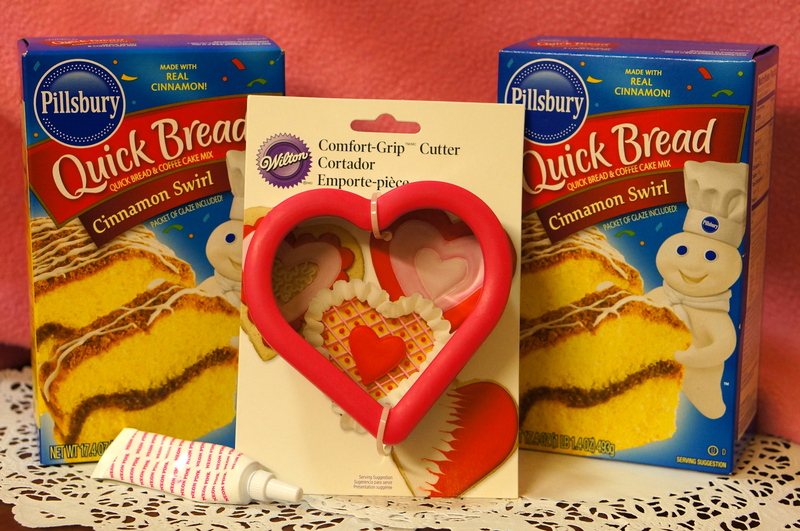 Place the bread heart cut-outs into the batter. 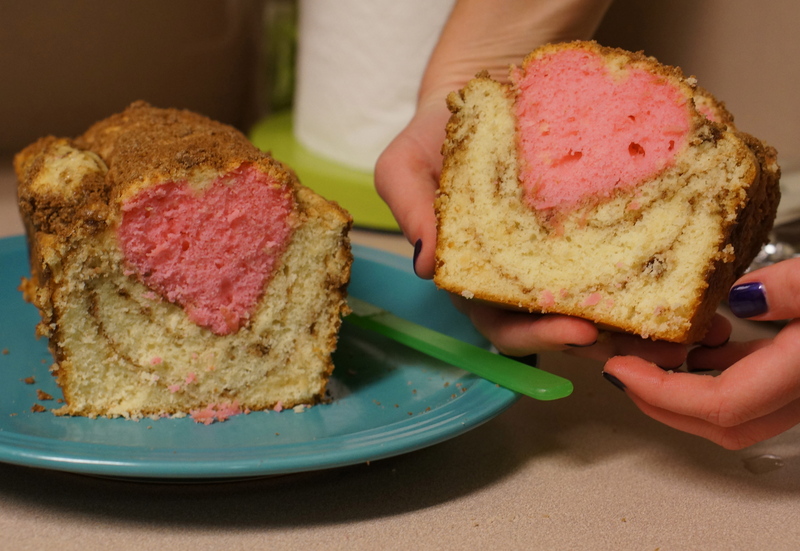 Try not to let them go all the way to the bottom of the pan- you may need to pour some of the other half of the batter on the sides of the hearts to keep them from falling. Pour the rest of your batter on top of the hearts (we wish we would have left more for this step). 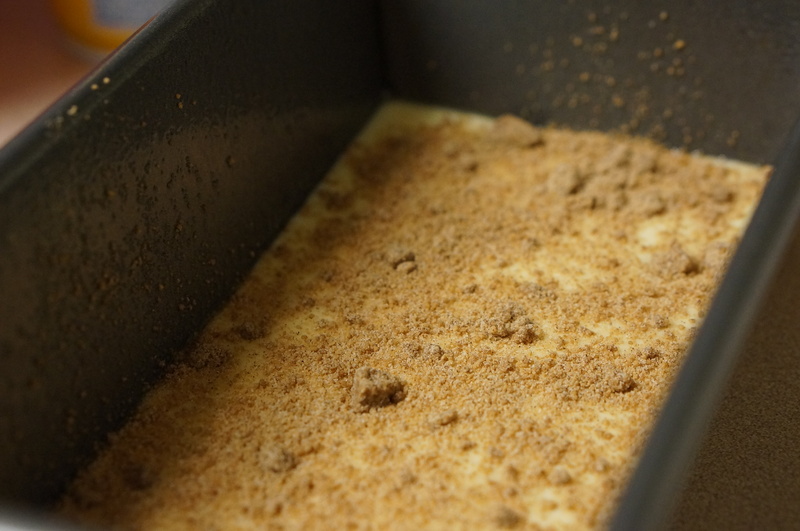 Pour the rest of the cinnamon sugar packet on top and bake for the 25 min. Then, check the bread every five minutes until it is golden brown. 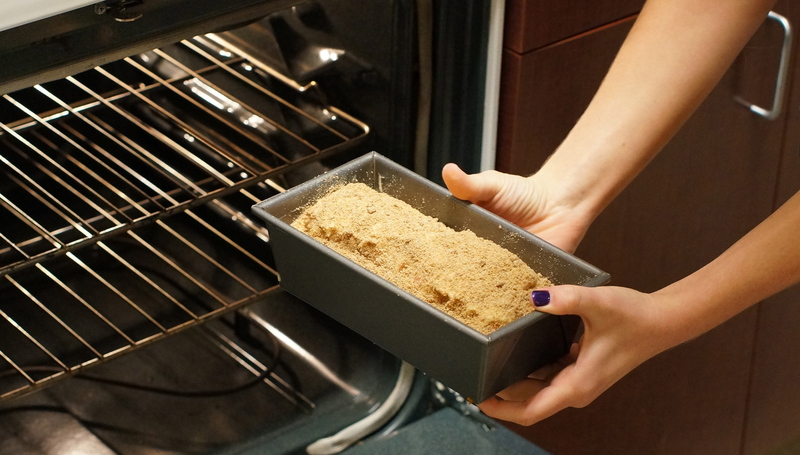 Once you take the bread out of the oven, let it cool COMPLETELY before taking it out of the pan or it can break! Finally, embrace your AWESOMENESS!!! Admit to yourself that this bread looks amazing and that you feel like a gourmet chef (at least we did)! As you can see our bread turned out great! 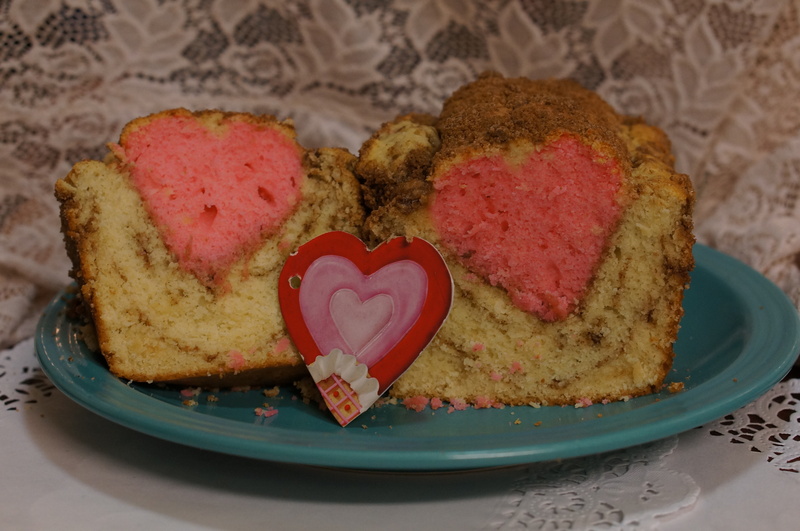 It is a wonderful recipe to get you into the spirit of Valentine’s Day- it tastes delicious, looks complicated, and is easy to make! 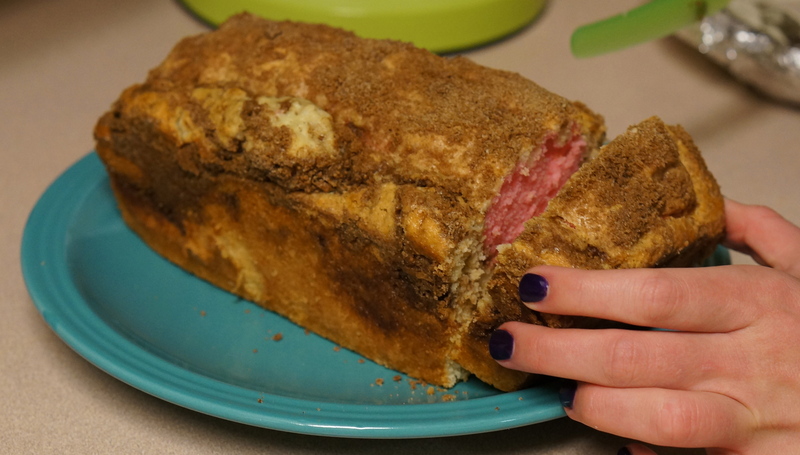 We actually took this bread to a potluck and it was a hit! We know that the heart works- will you all try a different shape? Thanks! It actually was a lot easier then we thought! GREAT IDEA!! Especially if you want something different that is not sweet! Cute too! Thanks! Yeah, it’s the perfect amount of sweetness for a snack!